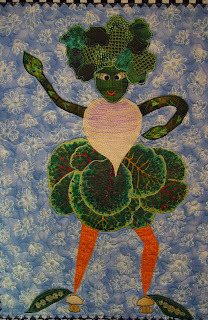 Meet Veggie Girl - she was created to grace the pages of the Calico Cutters Quilt Guild cookbook - titled "Quilters in the Kitchen". 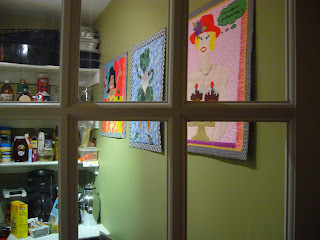 Veggie Girl Says "Buy PA Local" - in February - with over a foot of snow still left on the ground??? That's right - once a month in the winter my local grower's market - the West Chester Growers' Market - holds it's winter market - and yes - there is some wonderful produce available in February in Pennsylvania, as well as local cheeses, baked goods and soaps. Here's my market basket loaded up with my purchases from the day. I stocked up on my favorite lotion from Ellen April, lavender scented, promising spring is on it's way. And, yes, all of this produce was grown in Pennsylvania in February. One of my favorite stands at the market is Windy Acres, owned and operated by a comical young Amish man, Abe Stoltzfus. Abe grows all of his winter produce in hothouses. 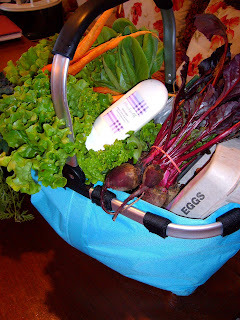 Today we purchased baby bok choy, kale, collards, carrots, beets, beautiful lettuces and organic eggs. I am a veg-a-holic, openly admit it. Dinner was easy tonight - I sauteed 2 links of chorizo (purchased last week at the Lancaster Farmers' Market) with an onion and garlic clove. Once the onion was translucent I added about 4 cups of mixed cooking greens (kale and bok choy), a chopped up roasted red pepper "fresh from the jar", and a quarter of a preserved lemon - preserved lemon can kick up the flavor of almost anything - click here for a great recipe to make preserved lemons at home. 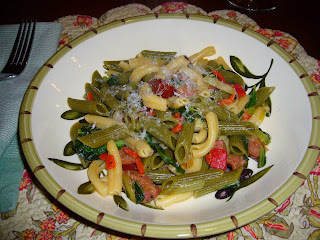 I allowed the greens to cook down, then added 2 cups of cooked pasta and finished the dish off with a grating of Parmesan cheese. 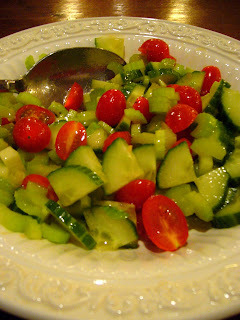 I made a simple chopped salad of English cucumber, cherry tomatoes and crisp celery dressed with a touch of honey vinegar vinaigrette - crunchy and healthy. Honey vinegar has a very special flavor - I purchase it at Carlino's in West Chester or Ardmore. I love chopped salads - I'll pull anything out of the produce drawer, chop it up and toss it with some homemade dressing. I called these meals "pantry meals" - basically because I am using up the basic ingredients I keep on hand in my pantry and fridge - and they are some of the best meals I make. No recipes - this is where I wing it, play with the ingredients. 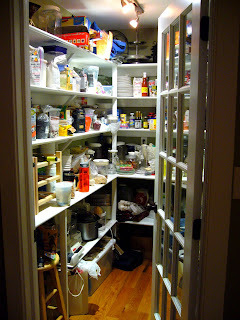 I am so lucky - I've got a great pantry - and I love to keep it stocked. 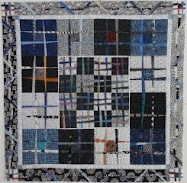 Every well stocked pantry has it's own quilt art - I display the three quilts I made for the guild's cookbook - check out my website if you want to see them close up. 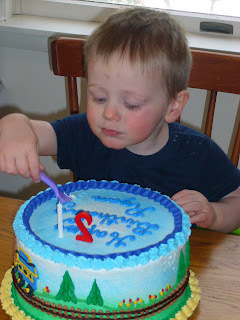 I have to give a shout out to my big guy Ryan, my nephew - he celebrated his big number 2 birthday today and we got to party on down with him - Happy Birthday Ryan!!! All the veggie recipes look great, got to try some.